If you’re like most people, you may have to think for a second to remember what they were. There are so many jokes about resolutions because the universal human tendency is to drop them. We now know from scientific research that a lot of that has to do with how we form habits: the ones that stick, and the ones that don’t. And we know that many times, it’s easier to develop bad habits than good ones. But then, for anybody in recovery, that’s old news. But there’s some good news, too: We can now predict with some accuracy how long it takes to repeat an activity before it becomes a habit (assuming there are no addictive aspects, of course). The answer? Twenty-one to sixty-six days, if the habit is to be solid. This information comes to us from a recent book on meditation, Practical Meditation for Beginners, by Benjamin W. Decker. He also provides the hopeful fact that research shows it can take as little as four days of consistent practice of meditation to begin to receive benefit from it. And we already know all of the mental, physical, emotional and neurological benefits that research has shown a regular meditation practice can give us. Why these particular techniques? For one thing, I’ve worked with them personally for years, with benefit. But just as important is the fact that in my own experience and that of many others, it is the physically oriented methods that are often the easiest to get a handle on. They are less likely to stir up the deep psychological issues of the addict in recovery than the ones that work at a more mental level. In this post, I want to offer an integrated group of methods that can be the basis for developing your own practice. First up is the place where most meditation techniques start, namely the breath. Both Benjamin Decker and neveralonerecovery.com lead off with this as well, for good reasons. For one, although we don’t always think of it this way, the breath runs through the whole body. It flows into the bloodstream, where the oxygen travels to every part of the body, including the brain. Because of this connection to the brain, the breath can help regulate physical, emotional and mental responses. And the regularity, evenness and smoothness of the breath are great indicators of the condition of the mind. Flow of breath can determine flow of mind. In a way, meditation and addiction can be quite the opposite. 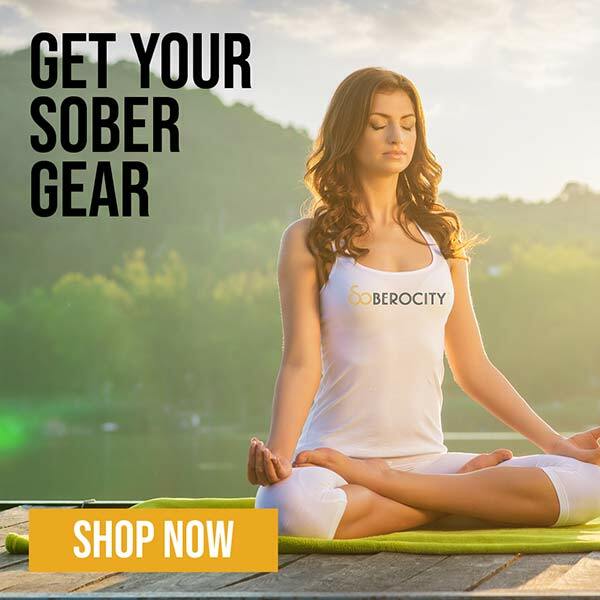 While meditation is checking in with the here and now, addiction is checking out of the here and now….While cravings arise, people can observe their thoughts and desires without having to act on them….While in treatment or early recovery, most people experience mood swings. By training the mind to focus on one thing—a sound, word or breath—meditation can help recovering addicts maintain a degree of emotional balance. Focusing on the breath works as an intervention between us and our impulses and thoughts, helping us to get some useful distance from them. First, find a pleasant, quiet place to sit where you aren’t likely to be disturbed for at least 20 minutes. It doesn’t matter if you sit cross-legged on the floor or in a chair. What matters is that your posture is stable and comfortable, one you can maintain easily for about 10 minutes at first. It doesn’t matter much what you do with your hands, either. If you want to use one of the traditional mudras, or hand-postures, that is fine; otherwise, resting them comfortably in your lap works too. Close your eyes about three-quarters of the way, letting in a little light so you don’t get drowsy. Rest your gaze about three to six feet in front of you. The distance isn’t that important, just that you put your vision where what you see doesn’t distract you. Notice what’s going on in your body and mind right now. Don’t hurry to meditate! Let yourself settle in a bit. Gradually let go of what’s going on in and around you as much as you can. Now bring your attention gently to your breathing. “Find” your breath wherever you can most easily and clearly: at the tip of the nose, the throat, the belly, wherever. Let your attention rest there. Then gradually expand your focus to include the whole cycle of the breath, from inhalation to exhalation. There’s no need to have extra-deep breaths or control it—this isn’t a breathing exercise like Yoga pranayama. Relax into the breath and let it find its natural rhythm and depth. Enjoy it. Feel however your mind changes as you stay with your breathing. If you lose the thread of the breath and get distracted by thoughts, emotions or the guy next door mowing the lawn, you just come back to your breathing without any judgments. If you want, you can set a timer for 10 minutes or however long you like. I suggest no more than 20 minutes if you are new to meditation; like anything else, it takes time to get used to a new practice. There’s no need to overdo it. Play with it. Have fun. Make a game of it. What happens if you close your eyes all the way? What happens if you leave them open? Try it standing if you like. How does that change the experience? Quietly being with your breathing while standing, actually, is a good transition to the next technique. All you have to do is stand up straight, not stiff or slouched, as if there were a string attached to the top of your head and gently pulling you up. Keep your spine straight and tuck in your tailbone a little. Don’t force or exaggerate anything. Let your arms and hands rest comfortably at your sides. Now you are ready for the second meditation in this set, which is walking meditation. This is the most body-based and “fool-proof” meditation of the set. It’s easier to keep a focus on the movements and sensations of walking that of subtler things like the breath, visualizations, or states of awareness. And you can’t fall asleep during it! If you get distracted by thoughts, the simple action of walking brings you back. It doesn’t matter if you practice this one indoors or outdoors, though outdoors might be more enjoyable. On the other hand, doing it indoors reduces self-consciousness and lets you test moving at different speeds without worrying about the neighbors thinking you’re trying out for The Walking Dead. Mainly all you need is enough open space to walk in continuous circles without tripping over stuff. As with the breathing meditation, there are all kinds of details traditionally in how to do this, but for beginners I think getting the basics down before adding all of that is enough. Once you’ve picked your place, stand the way I outlined at the end of the breathing meditation above, with your eyes open, maybe just lowering the eyelids a little more than usual and resting your gaze about 10 to 12 feet ahead of you. Just let your breath do whatever it does naturally. Feel your whole body and all of the “static” of sensations, emotions and thoughts running through it, without singling out any particular thing for attention. Then start to walk, as naturally as possible, maybe one-third of your normal speed if you were strolling to get the mail. Just feel the whole process of walking. Find a slow, even, comfortable pace and settle into it. Let a sense of flow in the walking arise naturally without “trying.” Keep letting thoughts go as they come up, returning to the walking. Starting with a practice period of 10 to 20 minutes is good. Once you’ve got the hang of it a bit, you can experiment with different speeds. In China, there is a form of walking meditation where the monks walk briskly, vigorously swinging their arms as they move, the whole thing being a form of chi kung (or qigong), invigorating the body-mind through energy and movement. Try it if you like. It’s a great way to wake up in the morning if you’re too groggy for sitting meditation. There’s also a Western form of walking meditation that goes back at least to medieval Christianity, called labyrinth walking. A labyrinth is an intricate pattern marked out on the ground that creates a path for walking; you enter the labyrinth at its outer edge and make your way to the heart of it, the path doubling back many times before reaching the center. As with the Buddhist walking meditations, you can go at a variety of speeds. Both the Buddhist and the Christian forms can be done alone or as part of a group. If you want to give the labyrinth a try, find a church or park near you that has one. There is a labyrinth in Battery Park in lower Manhattan, and some places set up portable ones in gyms and other locations. Combining walking and sitting/breathing meditation is a great way to get the most from your practice, to shake off stiffness in the body or cobwebs in the mind. The energy then becomes available in your sitting meditation, giving it a more alert and precise quality. The last meditation in this post is about as physical as it gets: eating! That is, mindful eating. I remember vividly sitting in the dining hall of Insight Meditation Society in Barre, Massachusetts, years ago, after hours of sitting and walking meditation, and having an orange and a cup of tea. With all of the mindfulness we had built up through days of silence, time seemed to slow down and every aspect of eating the orange and sipping tea felt magical. I’d like to suggest two ways of approaching this one. The first is more of an experiment to get the feel of it. Take a small piece of food you’re fond of, maybe a piece of fruit or some nuts, but not something messy or mixed up with strong attachments like cake or candy. Keep it simple. A drink like the tea I mentioned works too. Sit at a table while keeping your spine and head fairly straight and focus on your breath for a few moments. Next, pick up your food or drink and sample it. Don’t bite off a big piece or swallow a big gulp; chew or sip in small amounts. Notice all of the sensations involved: hot, cold, or lukewarm; hard, soft or liquid; chewy or smooth; tangy, salty, sweet, spicy; all of the flavors. Notice color and texture. What happens to your breath? What feelings come up? Are there sense memories? Finish by slowly and mindfully cleaning up. The second way would be to eat your regular meals a little more slowly and mindfully than usual, without the distraction of music, TV, phone or computer. Make eating the meditation. Don’t exaggerate it too much; just bring more presence into the process than normally. You can also make the experience more conscious by setting and clearing the table with care. Although I finally started to enjoy the time with myself and my thoughts, there was something else I started to enjoy even more: cooking….It was weirdly peaceful to know that I was nourishing myself, and an important part of recovering. There’s a saying in some of the spiritual traditions, “Start near to go far.” Gonzalez found that the enjoyable nature of mindful cooking and other experiences led her to want to create a more formal meditation practice. By beginning to build our practice around familiar and enjoyable activities like walking, eating and cooking, while keeping the thread of something we do every minute of our lives and which sustains our lives, like breathing, we start the process of creating new habits that enrich us and add new notes to our daily experience. Without forcing ourselves to learn something foreign or difficult, we discover new territory in the commonplace. We may even find that the sacred has been waiting there all along for us to discover it. I was a reader further back than I can now remember; but writing began for me, I think, in fourth grade, when I found a poem called “Where the Wild Geese Are.” I felt for the first time the power of words to shape mood and help us see the world in a new way. I wrote the first of what is now over a thousand poems that year. From there it was Marvel Comics leading me to science fiction and fantasy, to Isaac Asimov and Lord of the Rings, which took me to Shakespeare. All of these influences combined in me, to make the clarity of science, the grace and elegance of poetry, and the boundless imagination of science fiction the target I’m always aiming for in my writing--a goal that’s never perfectly reached, but where the fun lies in trying to come closer and closer.